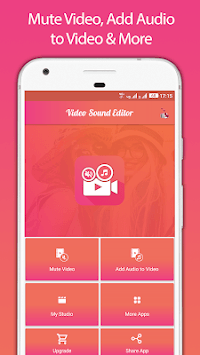 This is a Best in class Video Audio Editor which have features like video mute, silent video, trim video, voice mute, add Audio in Video, Mix Audio with video, audio video mixing. You can remove and change audio in video. This App is completely Free. > Select part of video to silent video in that part. You can also select start and end points for accurate time. >You can trim and Mute video together. Just select part of video to trim and select mute option and you will get your trimmed video with no sound. > Change video background music. Change video sound. > Add music to video easily and do audio video mixing with this video music adder . 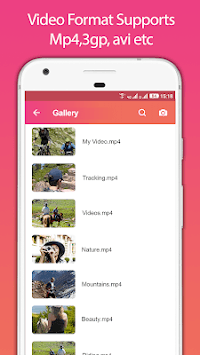 7- Supports Video formats including MP4, WMV, 3GP, AVI, MPG, M4V, MPEG4, MOV, MKV, WEBM, M2V, etc. 8- Best Quality Output & Fast Processing. 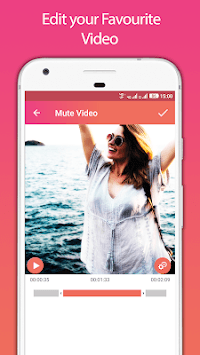 Use this app to Mute Video , voice mute and remove unwanted Audio from your Video. Create best quality mute videos.